There’s something about Italy that makes it so loved by CSGO. Well, to be fair, CSGO features a lot of Middle East and US-based maps, but there’s something about Europe’s boot-shaped country that has charmed Valve into making three maps set in that country. You read that right, three. Valve just added another Italian CSGO Map, and a few CSGO skins on the side. This time around, players will be shooting their enemies in the head in Canals, which, from the name alone, is obviously set in Venice, Italy, which is renowned for its Renaissance-reminiscent architecture, beautiful lights, and its ever-flooded canals (thus the name of the map) that are perfect for romantic rides on beautifully adorned gondolas. So, what’s the deal behind the terrorists and CTs having a firefight on one of Europe’s most popular tourist destinations? A bomb threat from the former, specifically the Phoenix group. That goes without saying that this is going to be a bomb scenario map. And a big one at that, as there are two bombsites. Rightfully so, as it’d be pretty boring if there would only be one, and it’d be such a shame if a map this culturally inspired and beautiful to be corny. On another related note, because this particular terrorist group is going to be the star of the map, their character models are going to get an update. And on a completely unrelated note, the update that will bring Canals to the game will also bring an entire batch of Spectrum case knives CSGO skins. They are all cool and shiny, and therefore expensive, so hopefully you get one so you can show it off to your friends, or sell it for a good – or probably even crazy – amount of cash. Last but definitely not least, the latest patch will fix address bugs that affect certain maps and the gameplay in general. Hopefully they’ve included the hitbox problem this time. 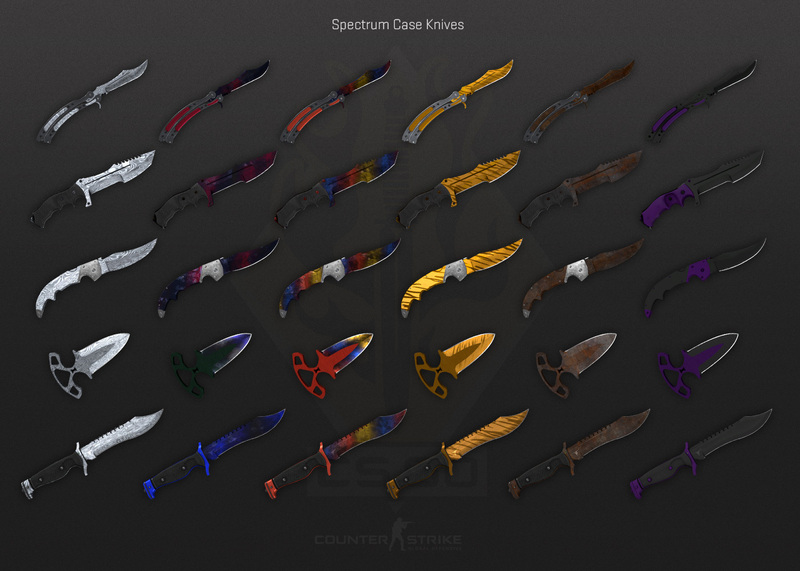 New map, new CSGO skins knives, and a fix to in-game problems – looks like Valve made an outstanding update this time. Now I can’t wait to try the Canals.